Ken is the Grand Nagus of GeekDad.com. He's a husband and father from the SF Bay Area, and has written three books filled with projects for geeky parents and kids to share. Hello again MAKE readers, it is I, your intrepid (why not just “trepid?”) Editorial Director, Ken Denmead, reporting in about the goings-on in the MAKE world. As I mentioned I would be last time, I’m in Anaheim, Calif. this week for a family vacation at the Disneyland Resort, visiting again our favorite spots in the Magic Kingdom and California Adventure Park. My wife and I realized this week that our regular trips here each year are our equivalent of keeping a cabin on a lake somewhere. This is where we relax, we play, and we forge family memories. Yes, it’s somewhat more commercial than having a family retreat somewhere, but it requires far less upkeep, and none of us fish, anyway. Of course this is a family vacation, and culture says we’re supposed to disconnect from work and everyday cares. But that’s often easier said than done. First, if I completely disconnected, I’d come home to 1,000 emails needing my attention. Second, when you live in the MAKE universe, you never stop thinking about things from a maker perspective, and there’s so much to see at Disneyland that can pique a maker’s interest and imagination. I’ve spent much of this trip really looking at the details here; the quality and custom nature of all the little things that go together to make this such a magical place – both the parks and the hotels. Indeed, the Grand Californian is one of my favorite places, period. As I write this, I’m seated in the Hearthstone Lounge in the Grand Californian. Just hanging out in a space like this relaxes me, and makes me appreciate the creative energy that went into crafting so much of the decor. I think it’s a very safe argument to make that the Craftsman movement in the early 20th century was something of a progenitor for our current Maker Movement, in that it was a reaction to the excesses of overwrought Victorian design, it sought to bring form back in line with function, and imbue a simplicity and individual spirit into the things people made that had been lost in the Industrial Revolution. People wanted to make quality, durable, well-designed things again, and it fell to individuals and small shops to do this; but the movement that developed around these ideas swept the world and left an indelible mark on design in a wide variety of fields that endures to this day. The Craftsman spirit is part of the Maker Movement. Back to Disneyland. I came here with the idea to look at the craftsmanship that goes into the details of the parks and hotels. 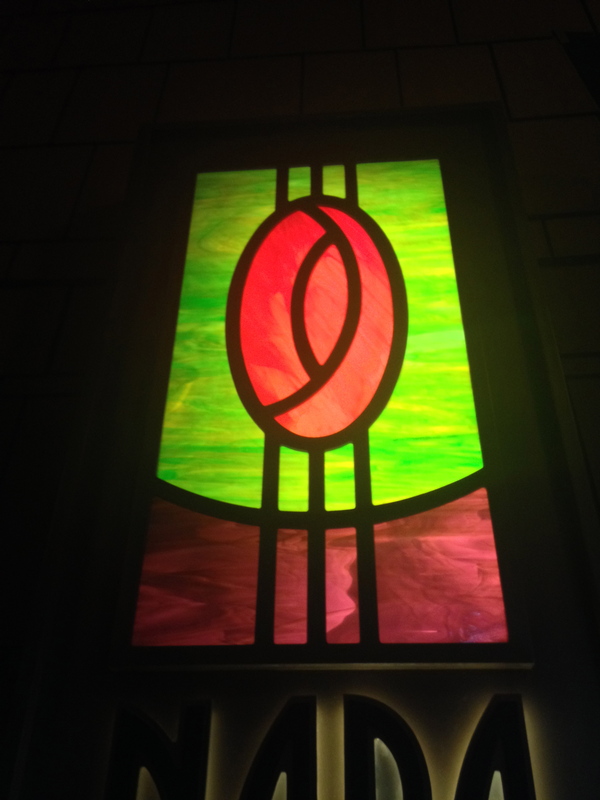 Beyond the “big-C” Craftsman style of the Grand Californian, I’d find as many examples as I could of the quality of making that is a highlight of what the Disney folks do here, and wrap them up into a gallery that I could ruminate on. Problem is: I very quickly realized such a broad concept doomed my plan to failure. There’s just so much here, I couldn’t catalog .01% of it in one visit. So, I decided to set my sights a little lower. I set them on bronzes. I walked the parks and took pictures of a sampling of the beautiful bronze sculptures and plaques I found. Looking at all these pieces, all these works of art, I was once again overwhelmed by the quality and craftmanship that goes into so much here at Disneyland. I’m sure I must have missed quite a few other examples – perhaps the renowned Disneyphile Cory Doctorow could fill in the gaps for me? 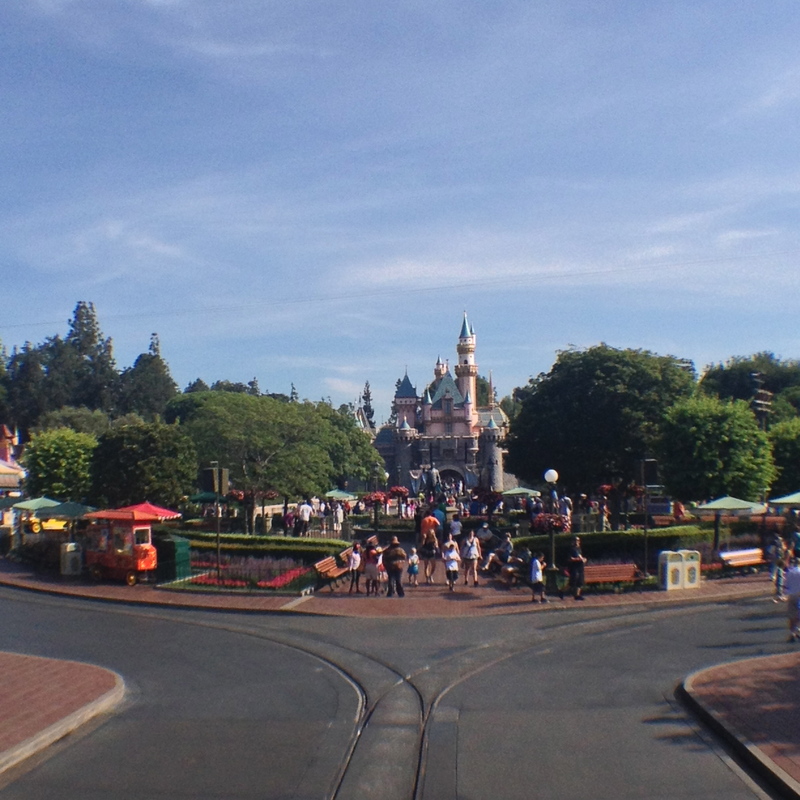 But I can only imagine what it must be like to be a craftsman, a maker, working at Disneyland. Even while I was taking my bronze survey, I noticed so many other things. Next time you’re in the Magic Kingdom, take a second to notice the hand-carved arms on the wooden benches near the Matterhorn Bobsleds, or the amazing variety of lighting all over the park; the fixtures in Critter Hollow are especially whimsical. Indeed, I feel like there are coffee table books to be made featuring just the lighting fixtures in the park. And the doors. Don’t get me started on the doors. If there’s a point to this post, it’s to encourage you all to open yourselves up to seeking the maker spirit in the things around you. Notice the little things that someone, somewhere, took care to do to make something durable and beautiful, and let it inspire you. If you missed it, Sean Ragan’s post on Seventeen Sneaky Secret Hides has been shaking the pillars of heaven (or at least, the internet). Today (Friday, July 19th), Maker Camp’s virtual field trip is going to NASA! Not only are we getting worked up for World Maker Faire in September, but Maker Faire EU is just around the corner in Rome. And finally, Hidden Mickeys. Do you know about Hidden Mickeys? The simple fact is that there are representations of Mickey Mouse (usually silhouettes of the ears) hidden in many places throughout the parks and hotels here. It’s become an obsession for people to find and catalogue these Hidden Mickeys, and while we’re not quite that obsessive in my family, we have a bit of fun trying to find them here and there. The other night, we were hanging out at Trader Sam’s, the wonderful tiki-themed bar at the Disneyland Hotel, and asked about the Hidden Mickey there. The waiters stated that they didn’t currently know where it was, and that usually what happened was the manager would move it whenever it had been found and published on the internet. But, at this point, the current Hidden Mickey was undiscovered. This, of course, set me on a mission. A mission that I succeeded at. 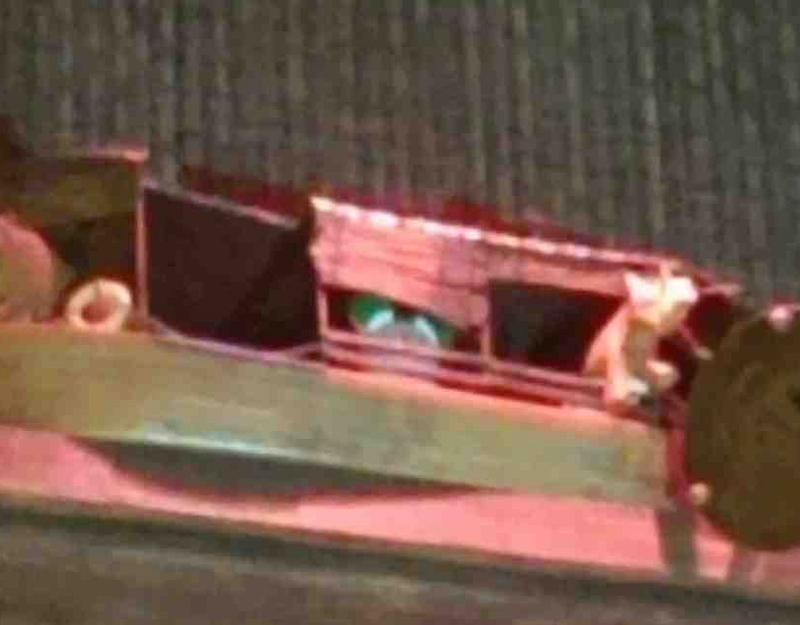 The current Hidden Mickey at Trader Sam’s. Specifically, you enter the bar, turn left, and on a shelf on the far wall of the room is a replica of a riverboat. The Mickey (it looks like a Vinylmation Mickey figure) is partially hidden behind a bamboo blind. And so, my work is done.